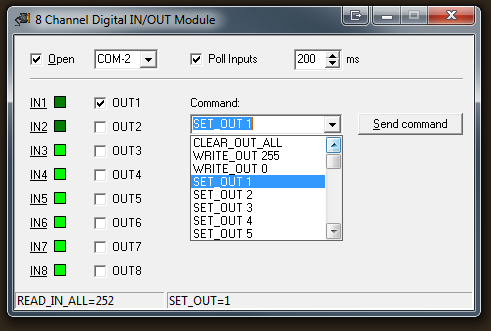 The 8 channel digital IN/OUT module offers 8 digital input channels and 8 digital output channels. The IO board can be used to control electrical devices, e.g. heaters, vans, pumps, valves, solid-state relays and other power equipment for home automation as well as industrial automation applications. The I/O module's 8 digital inputs can be used to determine the state of push buttons, switches, relay contacts, limit or safety switches or other digital signals. The number of inputs/outputs can be further expanded by connecting more cards to the PC. 8 Digital N-channel power MOSFET transistor outputs (55V/30A). Input and output connection via simple screw terminals. with switching voltages up to 250VAC. Every output has a LED indicator. Works on the USB (with USB to Serial converter) or serial port. This software package includes: Manual, example project for Delphi incl. source code. The example application IO8.EXE can also be used as command line application. This way it is possible to control the board by using BATCH file. Example batch files are included. cooling vans, pumps, valves, solenoids, and more. This software package includes: Manual, Keystroke Edition Software. 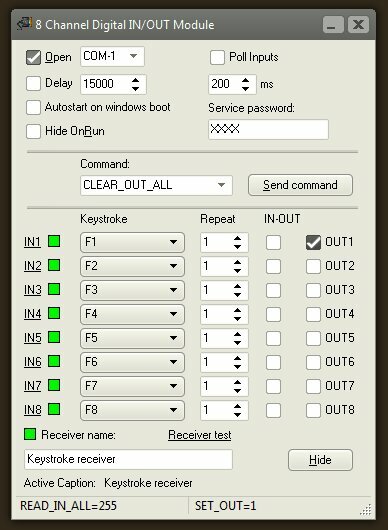 With the keystroke edition it is possible to send keystrokes to an other windows application. 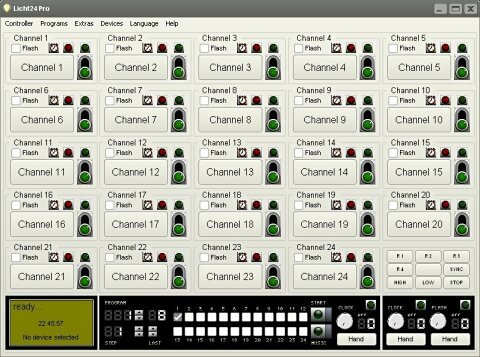 This way the other application can be controlled by the inputs of the 8 Channel Digital IN/OUT module. Two voltages in one device. 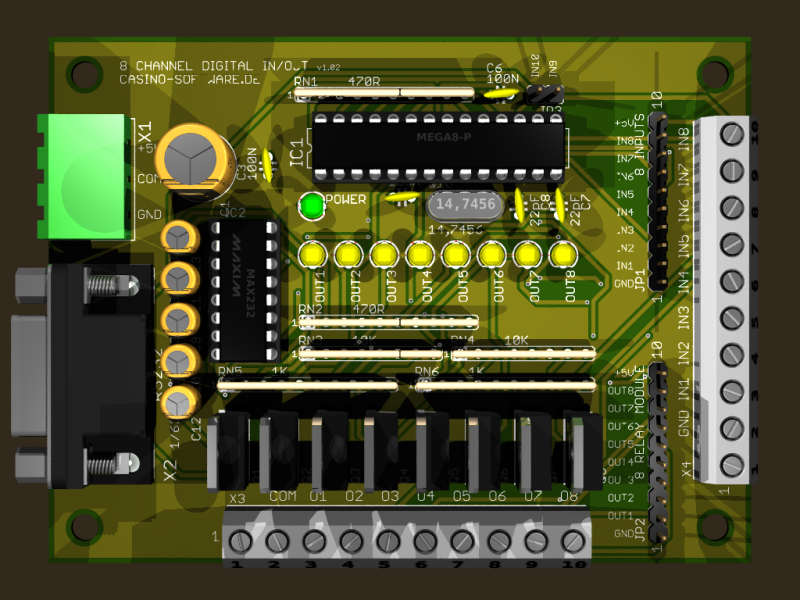 +5V DC for operating the 8 Channel Digital IN/OUT Module, +12V DC for operating the load. 8 Channel Relay Module, equipped with high-current relay (AC250V/10A).